And from a fellow performer’s rehearsal blog: As we began blocking Act I, it became very apparent how different each actor’s process was. Some of the players opted for rigid repetition and precise marks while others wanted to free form the blocking through exploration of the space. The prize for this had to go to Andrew Sellon, who is playing the Fool. It was amusing and energizing to watch him bob and weave his way through the space, trying out different interactions with other characters, varying his vocal tones with an enormous sense of play. It felt like every new option he presented to the ensemble was increasingly interesting which made it difficult to lock anything down. I guess this would be a good problem for a director to have. I couldn’t help but think that this would be exactly how the Fool would do it, presenting a dilemma in observation that leaves one guessing at the right course of action. I very much admire Andrew’s work. VSC: Why this play? 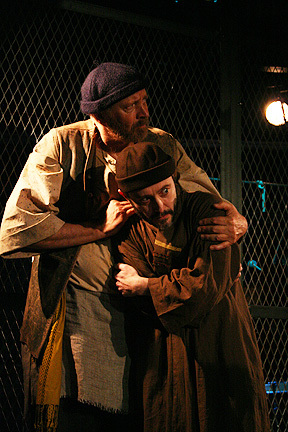 What is it about Shakespeare’s King Lear that excites you, moves you, speaks to you? What is the play about for you? AS: Lear is an incredible play about humanity’s greatness and its flaws. There are so many fantastic roles for actors to inhabit and for audiences to enjoy — these are deeply complex people, created by a clear-eyed but compassionate playwright at the height of his observational powers. No one is completely noble, and no one is completely evil. And no age is spared Shakespeare’s critical eye — from the young and ambitious children to the old and failing parents. Is Lear horribly wronged by his daughters Regan and Goneril? Of course. But sometimes what the two sisters say about Lear’s behavior has the all-too-familiar ring of dutiful children who have simply had their fill of an emotionally unavailable, endlessly demanding and increasingly unpredictable elderly parent. True, there’s a high percentage of particularly malicious characters around Lear. But the genius of Shakespeare is that they all turn out to be looking for the same thing that the more arguably “good” characters want, and it’s the simplest thing in the world — acknowledgment that they are loved. To watch that all-too-human desire go horribly awry for all of the main characters because they are so ill-equipped to seek it or offer it is what gives the play its tragic impact. It’s something of an emotional tidal wave for the audience — a thrilling and revealing ride into the human soul. VSC: Why this role? What in particular gets you excited about tackling this role? What are the inherent challenges and rewards? 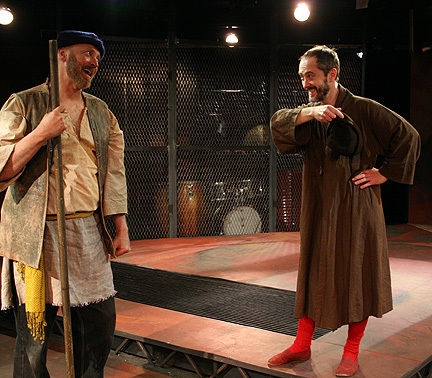 AS: Shakespeare’s plays have plenty of clowns and the occasional court fool, and some of them have a good deal more time on stage, but Lear’s Fool is unique and wonderful because he is far more involved in the emotional stakes of the action than his peers in Shakespeare’s other plays. He’s not just standing on the sidelines impartially making clever quips, and he’s not in it for a few gold coins. Every line, every barb flies straight from his heart, out of his love for Lear and his desperate desire to help Lear realize and correct his foolish mistakes. Because of his role at court, and his hard-earned relationship with Lear, he can say what no one else — not even Lear’s three daughters — can; he is indeed Lear’s “all-licens’d fool” as Goneril (perhaps enviously) claims. He is even willing to die for Lear, if it comes to that. Ironically, I think in some ways it’s the closest thing to a successful parent-child relationship that Lear has managed. That says a lot about both characters, and about why I’m so excited to be playing the Fool. VSC: Why Vermont Stage? What is it about our company that you find attractive, appealing? What potential do you see with VSC producing this play? 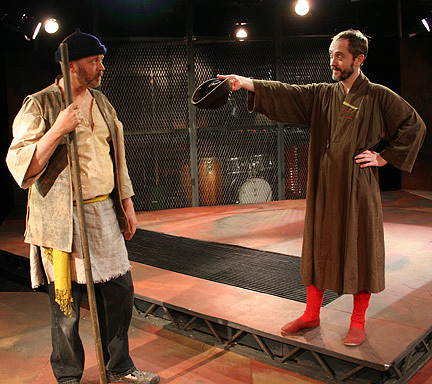 AS: I suppose that at first, some people might not be able to imagine King Lear in the intimacy of the FlynnSpace. But that’s precisely what’s going to make it so exciting for the audience. They’re going to be in the court when Lear divides his kingdom among his daughters and sets in motion the calamity that follows. They’ll be in the private rooms where Edmund, Regan and Goneril plot and commit their horrific deeds. They’ll be there for the battle to the death between brothers Edgar and Edmund. They’ll be there on the barren heath with Lear and the Fool, exposed to the raging and relentless storm. And they’ll be there for the quiet moments of tenderness, forgiveness, and realization that come to the characters in the most unexpected places and moments. If I weren’t going to be in the show, and I lived in the area, I wouldn’t miss it for the world! I always look forward to returning to VSC because the company offers me opportunities to perform dream roles in an environment that I can only call actor’s heaven — a shared vision, a deep respect for each other’s abilities and contributions, and the ability to explore and discover freely without judgment. 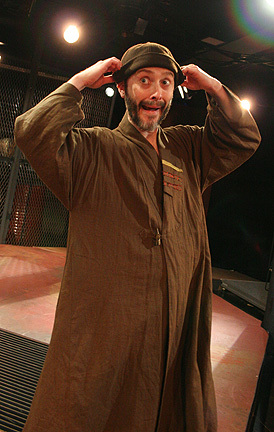 Also, over the years, from performing in 11 consecutive seasons with the Young Playwrights Festival, to two seasons of Winter Tales, Vladimir in Waiting for Godot, Charlie in The Foreigner, and most recently Charlotte, Doug and the other 33 characters of I Am My Own Wife, I have felt the commitment not just of VSC, but of the amazing audiences, who are so willing to trust that we will take them on a rewarding journey at each performance, and who reward us so generously in turn with their support and enthusiasm.